Book now the best shore excursions in Athens. High quality and safety at the lowest prices. If your are looking for Shore Excursion Athens, book now the best guided tours at lowest price with Ancora Tours. Since 2003 we offer you official guides in english, transportation and travel insurance, all included. The highest quality at the lowest rates. 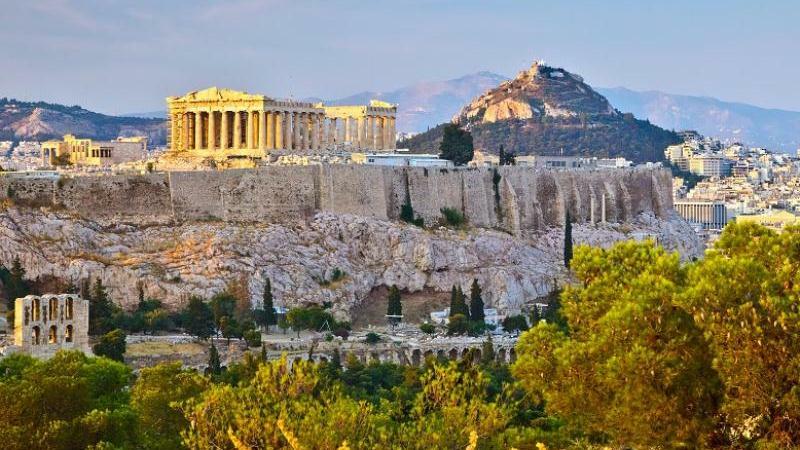 Known as the cradle of Western civilisation and the birthplace of democracy, Athens is packed with ancient history. Our tour will recapture the history that created the foundations of modern society: art, medicine, law…and much more. Don’t miss one of the best guided tours you can live in your life. Extra Fees: Entrance to the Acropolis: Adults €20 (€10 until 31st of march); students €10; under 18’s and EU citizens over 65 free. What’s eating: You’ve probably already tasted gyros, greek salad and tzatziki but nothing beats the real thing in it’s birthplace! From the port of Piraeus, our shore excursion will head to Athens by bus. The first stop is the Panathenaic Stadium, or Kalimarmaro. Built entirely of white marble this cultural monument is the site from where the Olympic flame is handed over to host nations. From here we’ll have a brief stop admire the Arch of Hadrian. We’ll continue with our shore excursion of downtown Athens at Syntagma Square; the centre of commerce and politics. Here we’ll see the Old Royal Palace, which is now home to the Greek Parliament. Time permitting, we’ll also stop at the Monument to the Unknown Soldier to watch the changing of the Guard by the soldiers in traditional Greek costume. As one of the oldest cities in the world, there’s a lot to do in Athens. The shore excursion will next take in some of the neoclassical buildings of the city, such as the University, the Academy and the Library. Jumping back on the bus, we’ll set off for the Acropolis. At this iconic citadel, we’ll dive into the history of ancient Greece. Discover the Temple of Athena, the Parthenon and the Erechthion. Before returning to port, we’ll stop in the old historic neighbourhood of Plaka. Situated at bottom of the Acropolis hill, this neighbourhood is characterised by its quaint narrow streets, traditional tavernas and workshops. A charming place to end our Athens shore excursion and perhaps pick up a souvenir or two. From the port of Piraeus, our shore excursion will head to Athens by bus. The first stop is the Panathenaic Stadium, or Kalimarmaro. From here we’ll have a brief stop admire the Arch of Hadrian. We’ll continue with our shore excursion of downtown Athens at Syntagma Square. Here we’ll see the Old Royal Palace, which is now home to the Greek Parliament.